My twin sister and my mother have been waiting on me to complete my portion of a family quilt we are making. 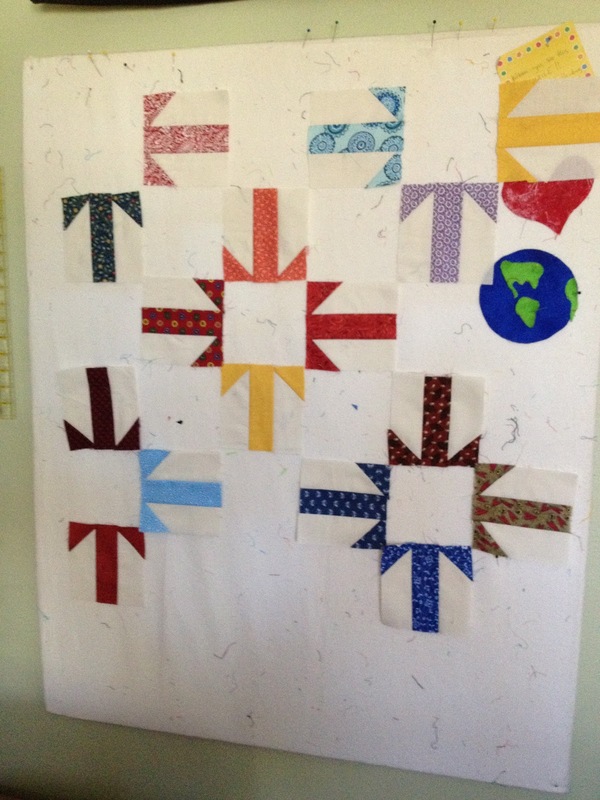 The idea was for all of us to make enough blocks for a quilt, and then switch them so that there is a third of our blocks in each quilt making them all three all of ours. 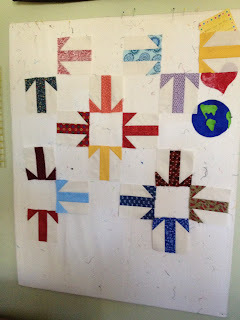 Now it even looks like we'll be able to make enough blocks to complete a fourth quilt for my sister who does not quilt. I have completed 64 "T" blocks and have to go to 130. I have still a lot to do, but hopefully I can knock it out pretty quickly now that I'm between projects for a few days. Hope everyone is enjoying a good start to the week! How kind of you to make a quilt for your sister too. A family quilt-a-long sounds fun. I like the arrangement of your blocks.